Warm, toasty, buttered rolls are key. If you can't find New England-style buns, trim 1/4-inch from both sides of standard hot dog buns to remove the crust and expose more surface area. Pour water into a large pot to a depth of 1 inch; bring to a boil and salt generously. Add Lobsters, cover, and cook until bright red, 8-10 minutes. Transfer Lobsters to a rimmed baking sheet and let cool. 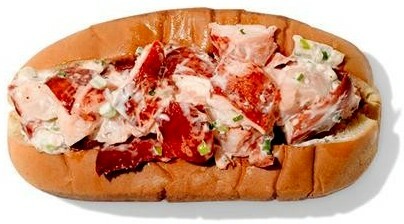 Lobster meat can be prepared 1 day ahead. Cover and chill. Toss with remaining ingredients just before serving.